Price is often a first consideration of potential buyers and as with horses and many other animals you can probably find one 'free to good home' somewhere on the internet. However, for quality, healthy llamas with good breeding - temperament, confirmation, rarity and suited for purpose (be it breeding, trekking, therapy work, etc.) you are advised to shop around and cut through/check out the sales hype. 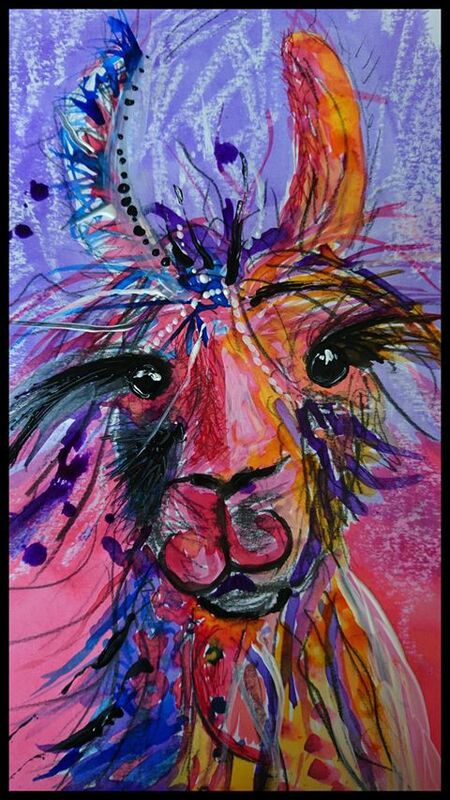 Hillview Llamas is happy to receive visitors interesting in making purchases without obligation and indeed encourages them to visit other herds to ensure they can see what added value they will receive in purchasing one of our llamas. Here you will have the opportunity to handle the llama(s) of interest, revisit until you are ready to make the commitment or put a reserve on the animal until ready to receive delivery. Vetting of potential purchases welcomed should you have any queries. This includes samples of fibre, faeces, bloods, etc. to check out they are actually what they are described as being. There is no standard price, it varies according to age, gender, breeding/genetics, temperament, rarity, number purchased, etc. However, as a guide, they start at £1K for a fully trained, reliable, dependable, 12 month cria. Hillview Llamas, also reserves the right not to sell to a home deemed unsuitable for whatever reason.